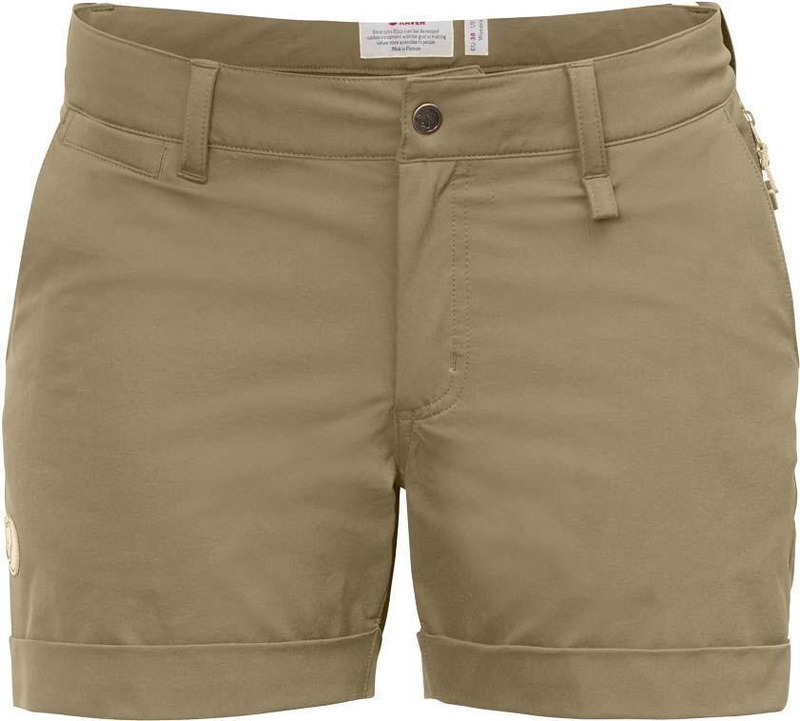 Lightweight, comfortable shorts in functional stretch fabric. Well-fitting feminine cut and several pockets; including a zippered security pocket. 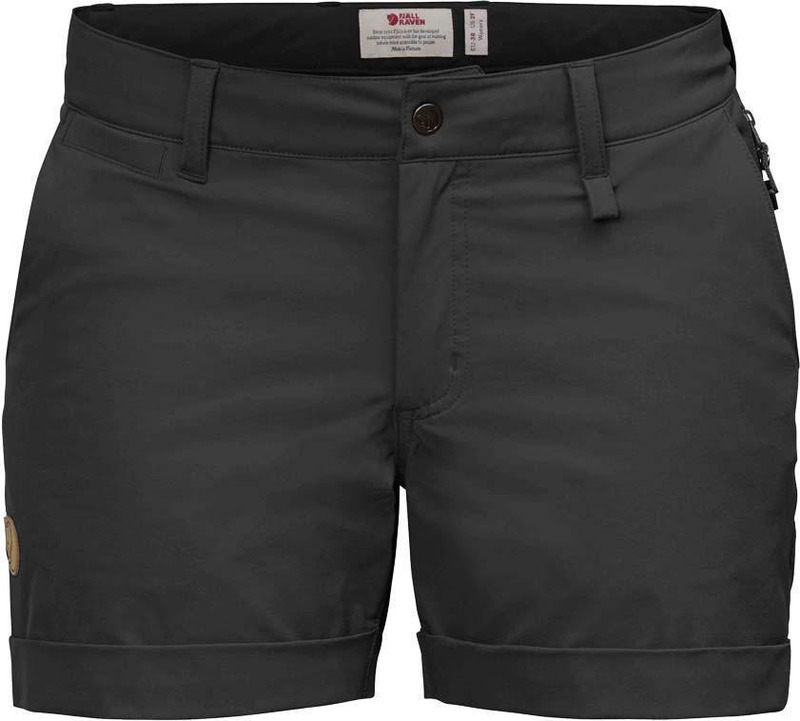 Minimalistic and functional shorts in comfortable stretch fabric. 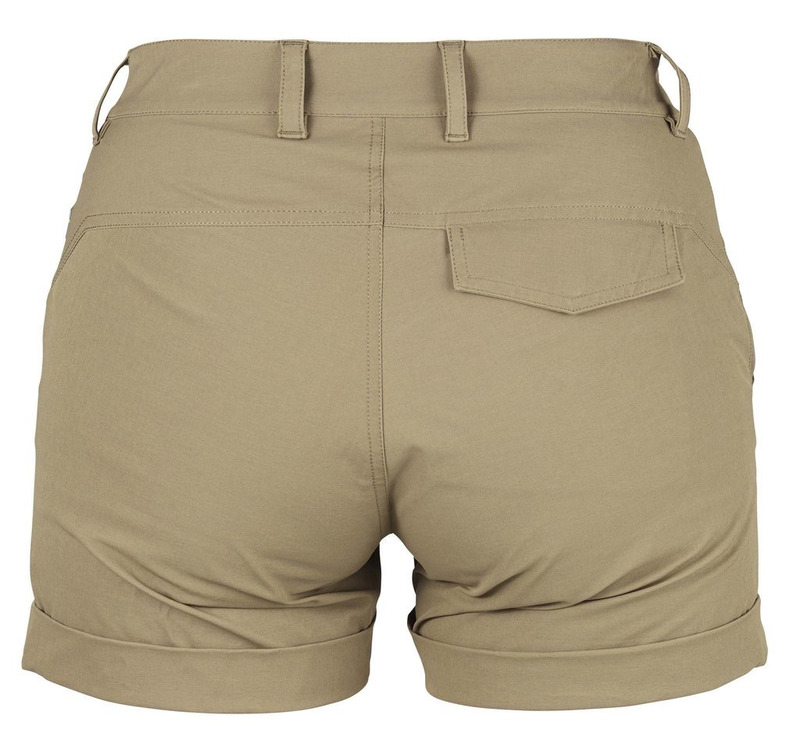 Designed for excellent freedom of movement and comfort on light treks and warm summer days. 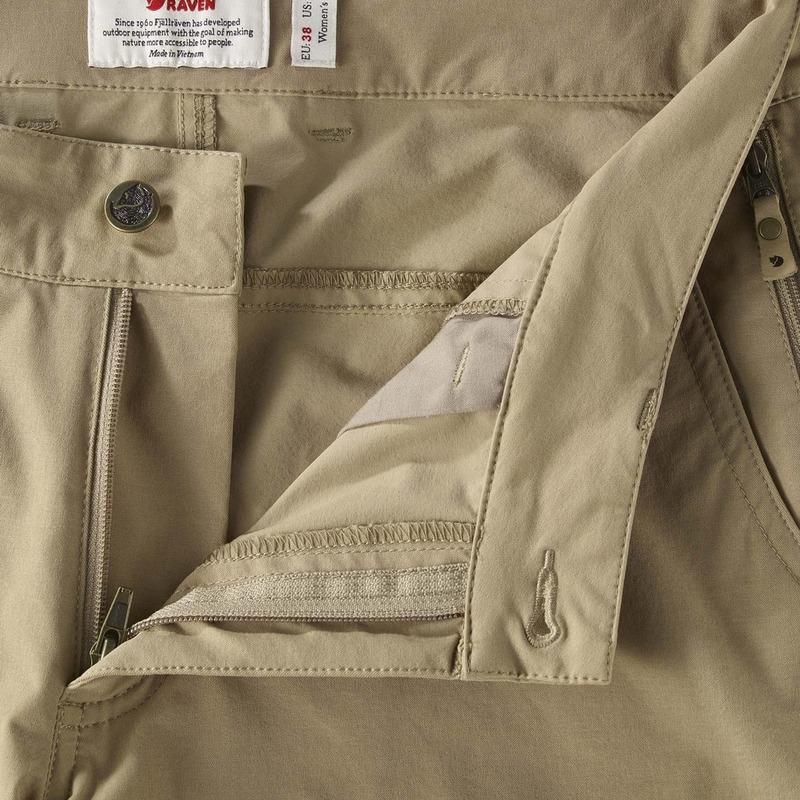 Two hand pockets and a coin pocket at the waist, as well as a zippered security pocket on the left hip. 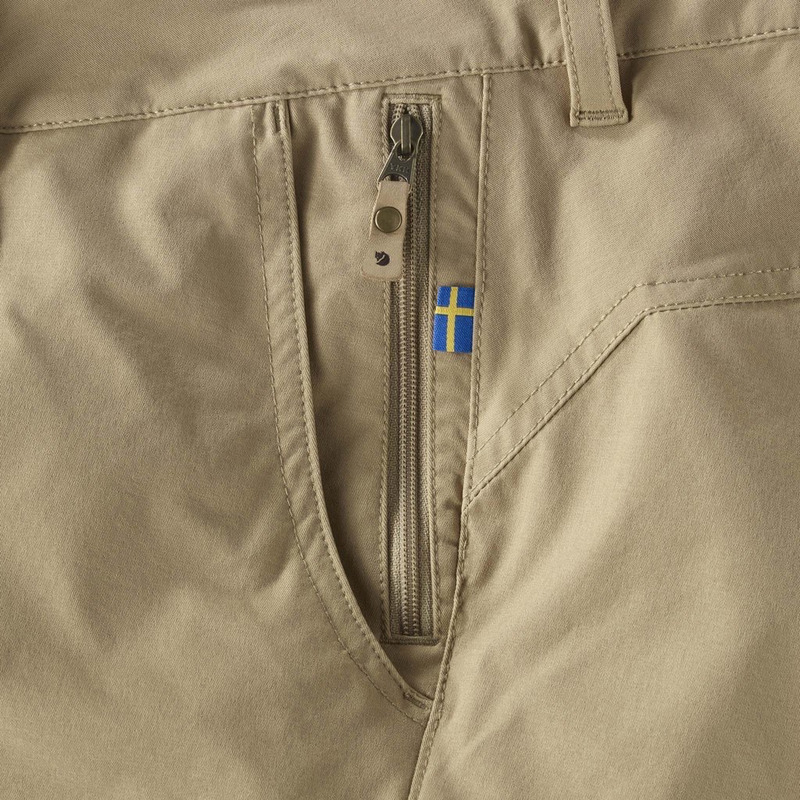 There is also a back pocket with a buttoned flap and a small loop at the waist for attaching equipment. Well-fitting, feminine cut and leg endings with rolled hems.